Realised with a leather non absorbent, the buckles are in brass and sewed handmade, system "anti-raindrop", quick and effective fastening. depth 15 cm, fastening for she doesn't jolt , thick and greasy leather, buckle in brass. 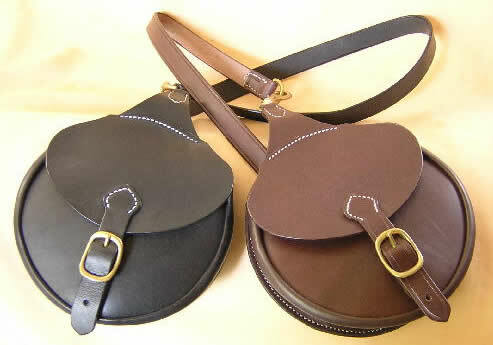 supple leather ,closing thanks to 3 buckles in brass and 2 fastening straps.